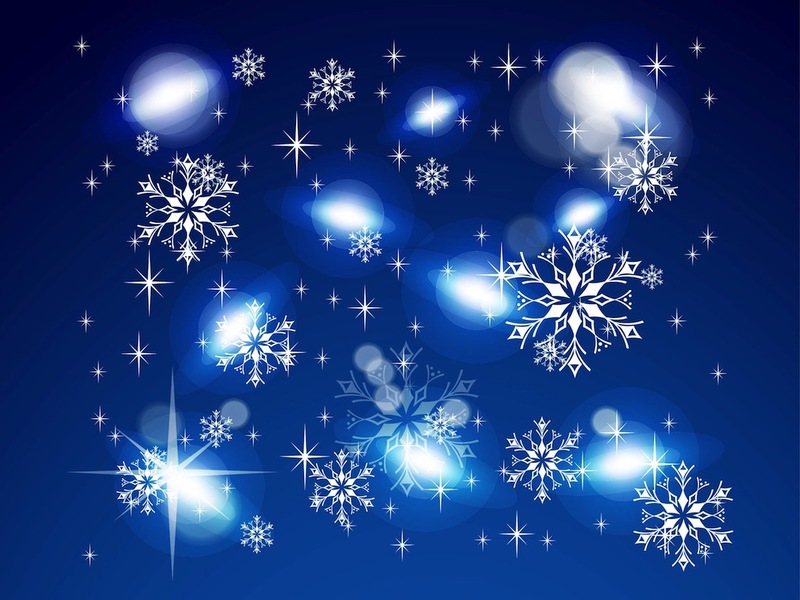 Winter Vector illustration with snowflakes and lights. Detailed snowflakes, small sparkles, bigger shines and blurred bokeh lights scattered randomly in the seasonal pattern decoration. Free vector graphics for all kinds of backgrounds, wallpapers, posters, clothing prints and flyers projects. Tags: Abstract, Bokeh, Lights, Shines, Snowflakes, Sparkles, Stars.